We owe more to this elegant, dashing man, who lived in the fast lane, than we realise. The woman he dressed, made up, and perfumed hasn’t aged a bit. And nor has he, a designer who died too young, a perfect gentleman of his time. 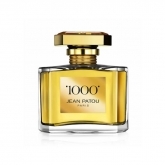 Jean Patou had what it takes. Slim and trim, the man looked good and he knew it. America called him “the most elegant man in Europe”. His appeal was a given. He had regular facial features, grey eyes, the trace of a smile. His voice was deep and firm, one accustomed to command after five years spent at war until 1919, on the Eastern Front in Thessaloníki. Born in Paris into a family of the industrial bourgeoisie, Jean Patou inherited the entrepreneurial spirit from his father, a tanner of luxury leathers. He was just 22 when he founded his first couture business, selling it to set up a second and then a third in his own name in 1914. 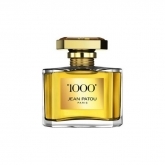 Jean Patou was willing to take risks, a trait that he put to good advantage at the gaming tables in the casinos of Deauville and Monte Carlo. Although he remained single all his life, he was a ladies’ man, reputed to have had numerous affaires, from the beautiful Louise Brooks, femme fatale, to members of the European royalty. A charming boss at the helm of a major couture house, Jean Patou loved to dress women and enhance their feminine appeal. Jean Patou was a man of his time: independent, modern, an enthusiast of fast cars and boats, and a collector of rare books and valuable paintings. His designs had a timeless quality about them. He invented sportswear, which was a fashion revolution. His clothes enabled women to combine chic with casual, to lounge on the beach in an embroidered swimsuit while exposing their body bronzed by the first sunscreen product of his own invention, Huile de Chaldée. His is a heritage to rediscover.